I’ve been a professional writer for almost eight years working on, among other things, television soap and several plays. I’ve been writing pantomime however for almost twenty years and I don’t think I’d have written anything else if I hadn’t had this grounding. Pantomime is as hard and as demanding as writing any other form of script and anyone who says otherwise (though to be fair I’ve never met anyone who does) is wrong! One of the essentials to succeed as a writer, is an understanding of formula and structure. 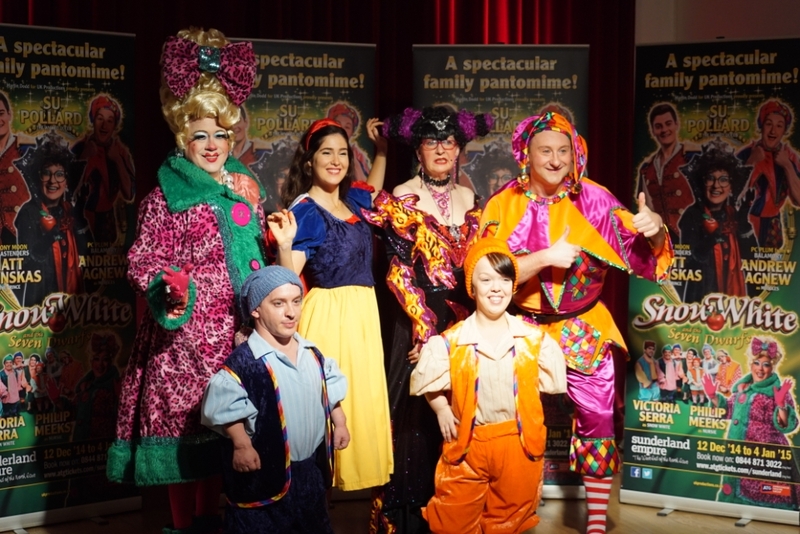 Pantomime is perfect for helping you develop your writing skills in this area. It all starts with the story and pantomime stories should follow a very simple three act structure. First a problem is posed to the protagonist….Cinderella gets herself some ugly sisters, Aladdin is saved from having his head chopped off and owes his sinister Uncle a favour. Next their path to solving it leads to a key dramatic moment which usually is the start of an adventure or a journey and is always your end of act One “Transformation scene”….Snow White gets rescued in the woods by the magical dwarves or the beanstalk grows and Jack begins to climb. Finally in Act Two the foe is faced and defeated and there’s the inevitable HAPPY EVER AFTER. Everyone will tell you how important getting the story right is. Today’s children are accustomed to very sophisticated story telling. Pixar’s movies for example are used by most screen writing courses as examples of story telling at its finest and most precise. Kids know what hooks them in story wise and what doesn’t! I always like my scripts to have a message too because this gives the story heart… For example my version of Aladdin is about making sure you never forget the magic of childhood when you grow up. Something like this can really shape your scripts. Once your story is in place there are so many things you have to consider and include to make a pantomime. All your key characters need to be introduced and there are some things to consider here. For example when it comes to the comedy roles it’s a good idea to introduce your comic before the Dame. This character is the key character as far as the children in the audience are concerned. Their openers will warm the audience up so the slightly more adult themed humour of the Dame doesn’t fall flat! It’s important during these introductions to keep reiterating the story. Don’t worry if every character says who they are, why they are and what their role in the tale is. These things need hammering home! Thinking about writing for each character is very important. When I write Dames I usually like to speak to the actor first to learn what type of Dame they play. 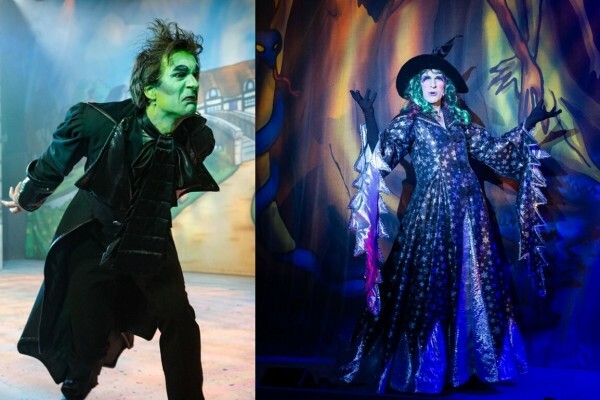 I love writing the Dame most of all possibly because for the last three years I’ve also played the part! I like to make Principal girls feisty and a leader and I tend to play down the romance. No one likes the soppy bits and I would rather use my leading boy and girl to do something, fun rather than providing kids in the audience with a chance to check out the theatre loos! You also have practical things to consider, for example pacing your scenes to allow for set changes. Front cloth scenes can consist of baddies doing a summary of the plot so far or some story development, for example Jack usually sells the cow during a front cloth scene. They can also be for comic relief. Finally when you’ve written your tie up scene, the baddie is vanquished…..I turn my baddies good or I give them a rotten punishments but I rarely kill them for some reason….writing the happy ending always comes with a sense of relief. 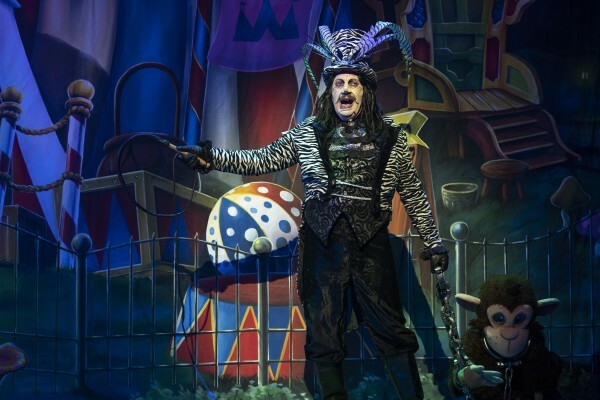 All that remains is the last few lines….the finale rhyming couplets that are spoken at the finale and traditionally shouldn’t be rehearsed by the cast until the final dress rehearsal. 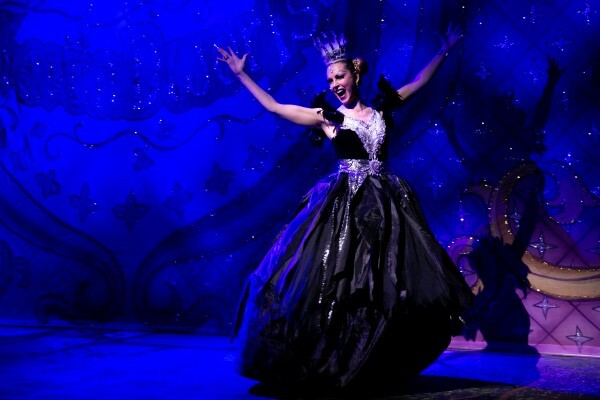 I always set myself the task of coming up with the most inventive rhyme for the pantomime title which will be shouted out by the entire company before one last reprise of the finale song. I love this bit because it means the job is done! The last bit of advice would be, as with all things writerly, keep it simple and less is more. Keep the characters to a minimum and every element you put into your script should be short and sharp. Routines should be two minutes, musical numbers no longer than three. Timing is essential as when you’re doing three shows a day the cleaners complain about getting the auditorium ready for the next house if you running any longer than two hours including interval! 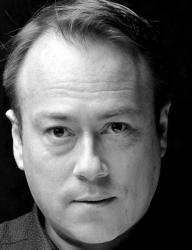 Philip has written for Emmerdale and Doctors and has had many plays staged, but pantomime is his first love as a writer.